Multistage Compressor A compressor or compressor system consisting of multiple stages. 2 Stage Compressed air goes from initial stage to second chamber where it is further compressed before discharge into tank; practical for pressures above 100 psig. 3 Stage Three chambers are used in succession; typically above 250 psig. More Than 3 Stages Compressors with more than three stages. Integral Cooler Intercoolers cool gas between stages; aftercoolers cool gas exiting compressor or system. Integral Dryer The compressor has a dryer to remove entrained liquid particles from the compressed air. Integral Filter The compressor has a filter to remove any entrained particulate from the air. 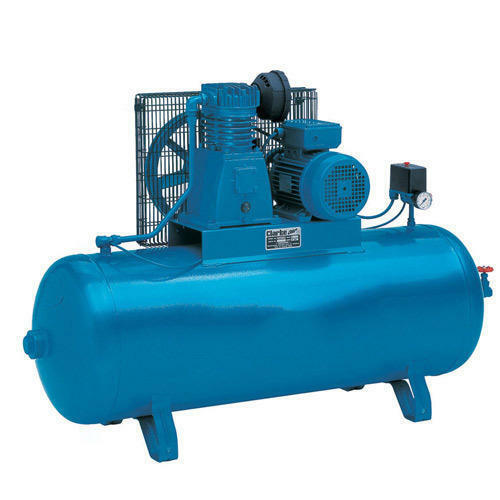 Established in the year 1969, we “Overseas Business Corporation” are reckoned as the leading organization engaged in trading, wholesaling, retailing and exporting the high-performance array of Water Pumps, Generator Set, Prufmex Pump, etc. The offered products are designed and manufactured in compliance with international quality standards utilizing quality approved raw material and innovative technology in our technically advance manufacturing unit under the guidance of our professionals. These products are widely acknowledged for sturdy construction, optimum functionality, superior performance and longer service life. Additionally, we offer our product range in various technical specifications in order to accomplish the various requirements of industry.